Peat smoke. To many it’s the key flavour in whiskies and for others it’s the reason they don’t drink whisky. While only relatively few whiskies are actually noticeably peaty, it’s become one of the best-known characteristics of Scotch whisky, and distilleries often define themselves by how smoky their spirit is. Some distilleries have been playing with their spirit character over the years, producing whiskies that are a bit different to expected. 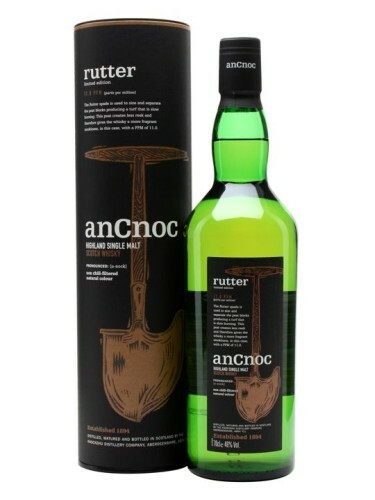 The latest addition to that club is Knockdhu with its new anCnoc Peaty range: Rutter and Flaughter. Peat used to be one of the most common heat sources in Scotland, and it’s from burning it to dry malting barley that the traditional smokiness gets into the malt. From the mid-1600s, using coke as a heat source grew in popularity, and as it became easier for the more remote areas of the Highlands to get their hands on smokeless fuel, whisky became less smoky. These days, peating levels are very much a choice, with maltsters allowing distillers to order malt of pretty much any level of peatiness. We couldn’t talk about peating in a remotely geeky way without mentioning ppm — phenol parts per million, the standard measure of peatiness. Most smoky whiskies will at some time boast of their ppm, giving an indication of how smoky they are. However, it’s not quite as easy as that — most give the ppm of the malt, something quite different to the final level in the spirit produced or the whisky when it’s bottled. While there is obviously a correlation, the mashing, fermentation, distillation and ageing processes all remove phenols and lower the ppm, so a whisky could be rather more or less peaty than you might expect from the peatiness of the barley. When I visited Knockdhu a couple of years ago they were using barley peated to 45-48ppm, about the same as Ardbeg, but these new whiskies were distilled a bit before that, using barley peated to less than half that level — about 15-20ppm. 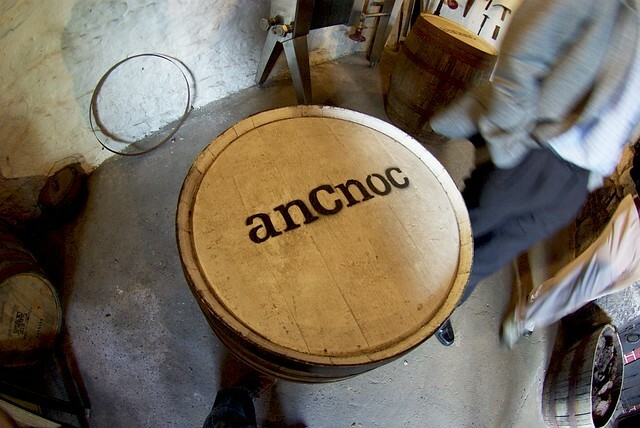 With the big Islay malts boasting much higher numbers, the folks at anCnoc did some testing of bottled spirits to make it easier to compare the new Peaty whiskies to existing releases. They found that the barley ppms weren’t particularly representative of where the new anCnoc bottlings sat in the world of smokiness. If you look at the table in Whisky Science’s excellent peat post and you’ll see that a 15-20ppm whisky should come in at about the same peatiness as Bowmore. However, the anCnoc whiskies slot in between Talisker and Lagavulin in comparison tastings – whiskies made with barley peated to 25-30 and 35-40ppm respectively. 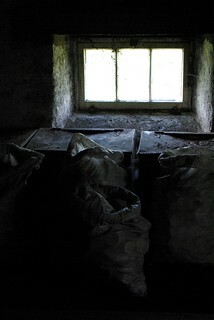 So, AnCnoc seems keeps a lot more of its smoke during the production process than the more established smoky bottlings. 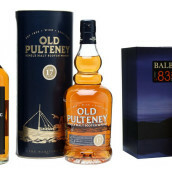 There will be many different reasons behind this (the whisky is younger than many of the comparable bottlings; they almost certainly mash, ferment and distil differently to the Islay whiskies, their local microclimate is different, and so on) but it mainly goes to show that barley ppm isn’t that reliable an indicator of final peatiness. 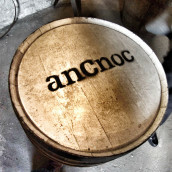 As such, the ppm number given on the new anCnoc bottlings is the level of peatiness in the bottle, not that of the barley. Nose: Mixed candied peel, candied lemon and drizzle cake, but with sharpness behind. Glazed ham touches, with some earthiness and sweet, muddy peat. Fresher fruit develops, with apple skin, sweet apple and pineapple kubes. Some more marine notes — seashells? More sweetshop aromas appear as it sits in the glass, with peat turning to fruit — foam bananas, Refreshers-style chews (but without the zing). Buttercream comes in towards the end, along with some tarry notes. Palate: A mineral hit up front — granite and limestone. Sweetness comes in behind along with apple skin and pepper, earthy peat smoke, cinnamon and anise touches. Creaminess with vanilla and a hint of spirit develops as well as some barrel char. With water there is more tar and darkness, minerals and more intensity — liquorice perhaps? Finish: Sweetness fades to charred oak and some more apple peel. Mineral notes remain. Nose: Clean, citrus notes to the fore, with some peat in the background quietly doing its thing, and a smidgen of gingerbread spice. Palate: Creamy texture, but fresh, focused and precise. 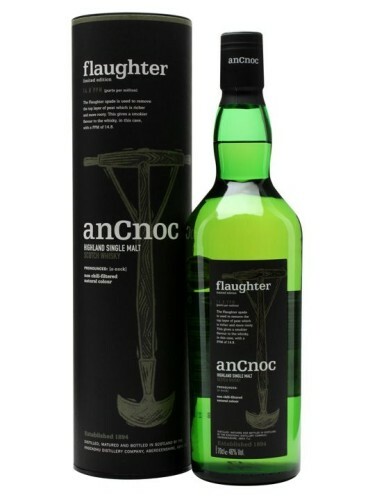 The peat comes through but never dominates, leaving a sprightly, zippy malt with green-apple notes. Finish: Clean, with lingering peat and fresh fruit. Nose: Waxy up front, with muddy smoke. It’s more austere than its stablemate, Rutter, with mineral notes of granite and limestone. Green apple and sweeter fruit develops in the glass along with some chocolate, milky coffee, floral touches, butter and nutmeg. Palate: Big mineral hit up front — gravel and granite chips. Sweetness builds behind with fresh sweet apples, floral syrup and then fades through darker flavours — stewed apples, dark brown sugar, raisins, blackcurrant and liquorice sweets, and some earth and tar. Water lightens things up and maybe not for the better — more spice and sweetness, but less complexity. Finish: Spice and earth, with anise, syrup, and lingering gravel and creosotey hints. Nose: Just a flicker of grassiness which soon evolves into rich, intense aromas of earthy malt and brioche. Palate: Dense, tightly knit and full bodied. A lot going on here. Tropical fruit, almonds, gutsy earthiness and grippy peat. Let this one develop in the glass – the whisky will thank you for it. Finish: That nagging earthiness continues, as does the peat. Annoyingly for us UK-based retailers there is a third whisky in the Peaty range — Tushkar. Annoying because it’s exclusive to Sweden, where anCnoc is hugely popular, and we won’t be seeing it on this side of the North Sea. Nose: Lots of buttery sweetness — spiced cake batter, pine needles, mint, pear drops and Jelly Tots. Dessicated coconut, lemon oil. Vanilla develops, along with smoke, although the latter sits behind. Tweedy peat with musty blankets, foresty touches. Eventually lots of mustiness shows, especially after tasting. Palate: Again quite minerally up front — old firepits and rockpool touches. Goes quite green and vegetal on the way to a central sweetness with fruity sweets, and then veers back off into the grass — more leaves, stacked grass and some apple peel sourness. Water kills the smoke and reveals masses of fruit — Jelly Tots, jelly and gummi chews — as well as some menthol, mint and syrup. Finish: Quite confected, with sweetener and jelly fruits. Fruitiness lingers with some gravel and smoke coming through. Sweetness hangs around. Nose: Nice balance between peat smoke and honeyed pear drops. 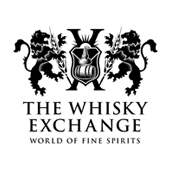 Palate: Very rich and peaty, blossoming into complex spiciness softened with honey. Appealing freshly baked bread character with a touch of salinity. Finish: Long, with the peat and smoke dominating.